A new favourites post! I feel like I haven't done one of these in forever! I decided to skip December's, it was just after Christmas and new year and I total just blanked on what I had been loving for the past 4 weeks so thought you guys wouldn't mind.... and probably wouldn't notice if I gave it a miss! Saying this I am so excited to be back doing these - they are some of my favourite to write and definitely some of my favourite to read! 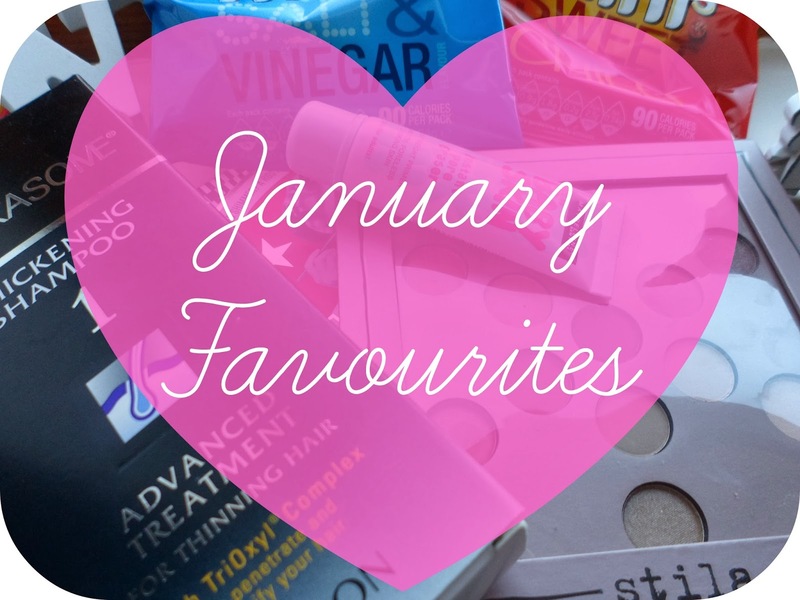 I love seeing what everyone has been loving each month - I always manage to have a list as long as my arm of things I want after reading everyone elses! So these are the things I have been LOVING over the past 4 weeks! First up Nutrasome Thickening Shampoo by Revlon! This is something I bought on a whim at the beginning of the year after my friends cousin had said she'd been using it and her hair had grown a lot.... Like a lot a lot! So I thought why not give it a go! Now it isn't the cheapest of shampoos being just over £8 but I have to say I have been so impressed! The smell is strong and I find quite masculine but I use my normal Lee Stafford conditioners afterwards so there is no problem there. But that is something you have to do... Condition! This stuff leaves my hair feeling a little dry and brittle in the shower but after I condition as normal it feels lovely, just like using my normal shampoo and conditioner! Now down to it.... I have noticed that my hair does feel thicker - when putting it up or plaiting it I can tell that there is definitely more hair than I had before - top marks Revlon! Growth - I haven't seen anymore than usual I don't think so far but it is definitely time for me to get my roots done, so it has grown somewhat! I will definitely be re-purchasing when I'm done with this bottle, then see how I feel after that! Next up is my Stila Natural Beauty Eye Shadow Palette! This is one of the amazing presents I got from one of my Blogger Secret Santa's - the gorgeous Chanelle Jade! This palette is so up my street, I'm not that adventurous when it comes to eyeshadows and their colours so neutrals are always winners! This palette is so gorgeous, not only does it have some lovely brown shades but also some pink shades that I have been obsessed with! 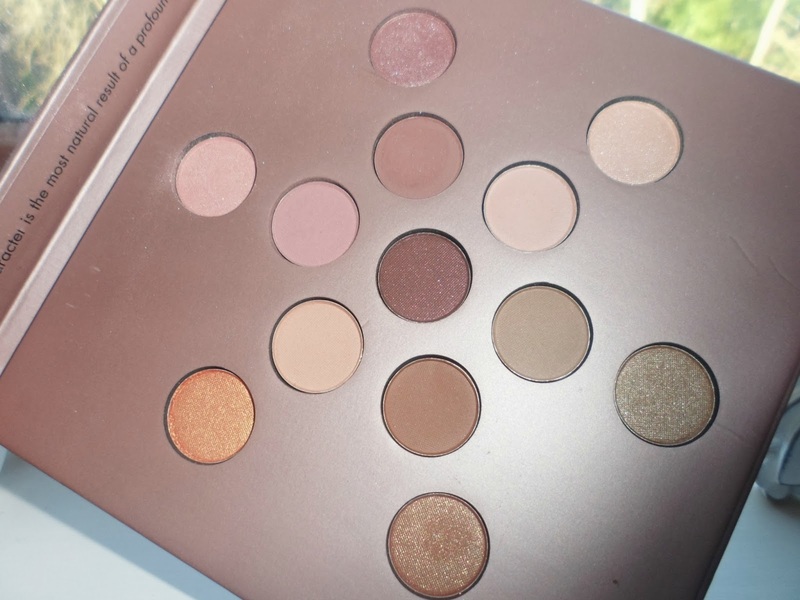 This is up there with my naked palette as go-to palette for a glam natural look! As you all probably saw back in my Boots sale haul I invested in the Powder Trip set from Soap And Glory! This is a beaut of a set and a total bargain! The powder that is up there in my favourites this month is Glow All Out! A gorgeous luminizing face powder which I had actually been after for a while! I'm a sucker for anything that gives me a glow and this stuff is a fab subtle powder that I can use not only on certain areas on my face but all over! I just wish I had it separately so I could pop it in my make-up bag easily! This was obviously going to be in here - Maybelline's Baby Skin. I bought this at the end of last year and have use it more or less everyday since, I love it! Instead of explaining about it all over again ... Here's my review. Non-beauty favourite alert. Ryvita Minis! I am addicted to these little beauty's! I've been trying I shift a few lbs since the beginning of the year and so snacking has become a big no-no along with bad fatty treat like crisps and chocolate. So I have been trying to find healthier alternatives to help beat the cravings! These are so yummy (I'm a major ryvita fan as it is) and they have been in my lunchbox (aka my bag) near enough every work day! My favourite flavours are Salt & Vinegar & Sweet Chilli. January means the return of my favourite TV shows! Wooohoooo! 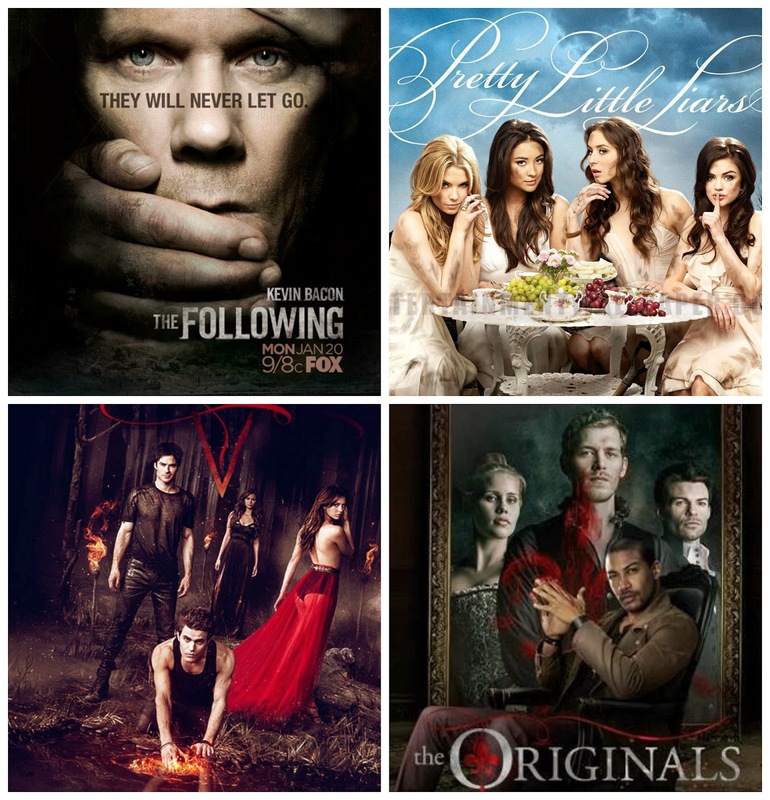 My top 4 shows at the moment are Pretty Little Liars, The Vampire Diaries, The Originals & The Following. And that would have probably been bloody obvious if you follow me on twitter - these shows are amazing, I am obsessed. Like totally obsessed. If you watch any of them - tweet me, I love talking to others about these shows! I have often wondered about those type of thickening shampoos...I always thought they were for people with really thin hair....but I'm really interested in the growth element to it! I am obsessed with the Following and am so stoked it's back! ooo that Stila palete looks cute! Love the colours too! I did a post the other day about my favourite shows, I also love Pretty Little Liars, The Vampire Diaries and The Originals! I really want to try the Maybelline Baby Skin, I'll try and pick it up next time I'm out. That Stila palette looks so gorgeous, and I've heard such good things about Soap & Glory make-up, so I hope to try that soon too. That soap & glory highlight looks like it would be so gorgeous! I've also heard such good things about that baby skin product! I was looking for a thickening shampoo so I'll have to try this. Totally forgot about Revlon!